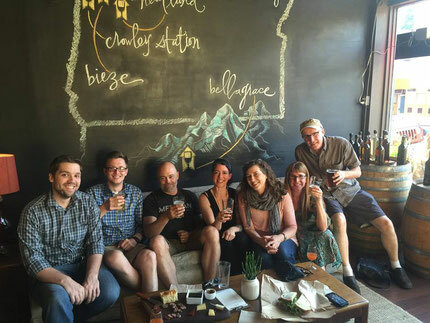 We are chocolate artisans in Portland, Oregon who came together in 2013 to learn, share, and taste chocolate. 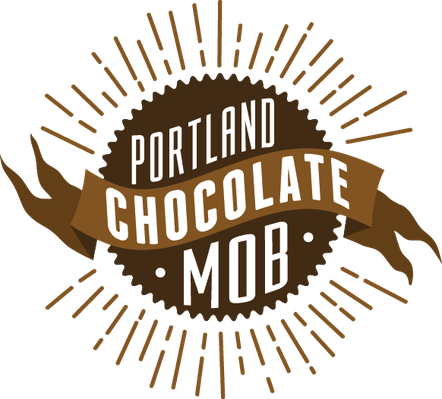 With so many chocolatiers and chocolate makers in the Portland Metro area we decided to collaborate on events and call ourselves ‘The Mob’. Our mission is to educate the general public about quality & craft chocolate, the range of complex diverse flavors, and simply that this isn’t the chocolate most people grew up with. Mobster members include chocolatiers who use high-end chocolate to work their magic into decadent truffles & bars and ‘bean-to-bar’ craft chocolate makers who roast cacao beans then step-by-step transform it into silky chocolate. Our first event was ‘Choktoberfest’ at Alma Chocolate where 40 patrons joined us. We enjoyed pairing chocolate with local craft brewers so much we decided to make it our annual Autumn event. It’s grown to 200 patrons over the years! We like to have fun, so we added the ‘St. Patrick O’chocolate McWhiskey’ event in March where we pair our chocolates with a variety of bourbons & whiskeys. This is an intimate event that allows us to share our chocolate stories with patrons. We are interested in new event ideas and collaborations with other artisans. Please contact us if you have a suitable event request, want to create a chocolate pairing, or are interested in chocolate classes.